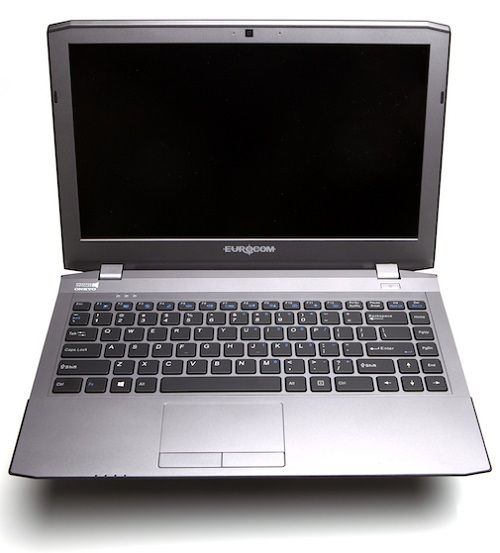 Eurocom has added another layer of upgradeability to the 13.3” EUROCOM M3 by adding the Intel Dual Band Wireless-AC 7260 wireless card to the long list of available customization options. “The EUROCOM M3, super powerful and ultraportable notebook is reaching a new level performance with the introduction of the Intel Dual Band Wireless-AC 7260 wireless card” Mark Bialic, Eurocom President. When ordering a EUROCOM M3, customers have the ability to select the processor, memory, storage, operating system and seven different wireless cards of their choice, to ensure the customer gets the exact notebook they want. Intel Dual Band Wireless-AC 7260 has a 2x2 antenna setup and supports 2.4 GHz and 5 GHz bands, delivering 300Mbit for 802.11n and 867 Mbits for 802.11ac networks. The 802.11ac uses 80 MHz channels, while 802.11n uses 20 MHz or 40 MHz. Intel Dual Band Wireless-AC 7260 comes with Bluetooth 4.0 support as well. Powered by a full line of 4th Generation Intel Core i7 processors on the, HM 87 Express chipset, utilizing the Intel HM87 Express Chipset including: Intel Core i7-4930MX with 4 cores and 8 threads running at 3 GHz with 8 MB L3 cache, Intel Core i7-4900MQ, Intel Core i7-4800MQ and Intel Core i7-4700MQ.